Raw & Frozen Dog Food are growing trends in the pet food industry. 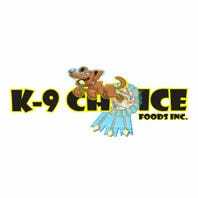 Our Edmonton and Lethbridge locations offer a wide variety of frozen and raw pet foods. The best way to transition to a raw diet from a commercial dry or canned food is to slowly ease your pet into eating raw. Start by using small pieces of the raw diet as a treat throughout the day. Monitor stool quality to ensure proper digestion. Over the next few days, offer larger and larger pieces of the raw diet as treats, while slowly reducing the kibble or canned diet. Continue to monitor stool quality for inconsistencies or signs of digestive distress. When you are sure that your dog has no issues digesting his raw portions, continue the transition by replacing one meal with a complete raw diet for the next few days. Once the dog is adjusted to the raw meals, you can switch to a complete raw diet. If you know your dog has a sensitive stomach, start by feeding just meat as opposed to a complete raw diet. Begin the process by partially cooking the pieces of meat and gradually increasing the portions. Never cook a complete raw diet unless you know that it uses bone meal or double grinds the bone. Cooked bone becomes brittle and can splinter, posing a risk of intestinal perforation or choking in your dog. To make the transition simpler, you can start with raw meat from the grocery store and slowly work your way up to a full raw diet. Cook the meat a little less each time until your dog is eating just raw meat as treats. Take your time. The slower the transition, the better. If you come across any digestive upsets, go back a step and try again. Probiotics, such as acidophilus, or a healthy fibre source like pumpkin can help ease your dog through the transition. Once your dog is regularly ingesting raw meat, you can begin to transition him onto a complete raw diet. Continue to slowly replace meals with the raw diet until your dog is completely comfortable eating raw. This slow method of transitioning is ideal for preventing digestive upsets, though not all pet owners will need to go through this lengthy process. Some pets are fine with a faster approach. A common practice is to perform a 12 hour fast, and then go straight to feeding the raw diet. 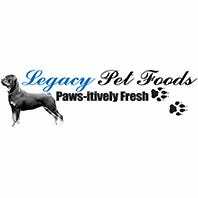 Raw pet foods digest at a different rate than cooked food, so giving your pet a fasting period to finish digesting and processing any cooked food in their digestive tract will ensure easier digestion of the raw diet. 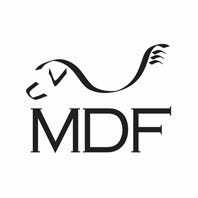 This process does involve some risk of digestive upset that pet owners should be prepared to deal with should it occur.